Since 1996, Dr. Jerry Smuszko (pronounced smooz-ko) has delivered the kind of care that makes every patient feel like a cherished family member. At Dalhousie Family Chiropractic we welcome patients of every shape and size; from moms-to-be and children to budding athletes and senior citizens. We provide the very best in customized treatment, with an emphasis on optimizing the innate wellness potential of those in our care. Dr. Jerry’s dad died of a heart attack when he was 11, motivating him to live a health-conscious lifestyle that includes regular exercise and healthy eating. He played water polo for over 25 years and was a part of the Canadian Junior National Team. He and his wife have three children. One of his sons was born with Down syndrome, and has a highly functioning immune system due to regular adjustments. His daughter was adopted from Ethiopia. All three kids have received chiropractic care from the time they were born. As a family, they all enjoy hiking in the mountains, water sports, snow-boarding, swimming and biking. 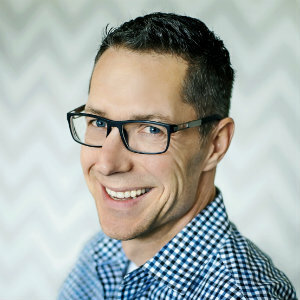 Dr. Jerry is a member of the International Chiropractic Pediatric Association (ICPA), the Alberta Chiropractic Association and the Canadian Chiropractic Association. He and his wife support charities associated with Canadian Down Syndrome and adoption. We encourage you to take the time and effort to invest in your well-being. We treat our patients like family, and want to earn your trust. Contact us for an appointment; we feature on-site X-rays for your convenience.